This uniquely patterned shirt is made out of a lightweight polyester that feels like silk. The background color is pale gold to medium gold. 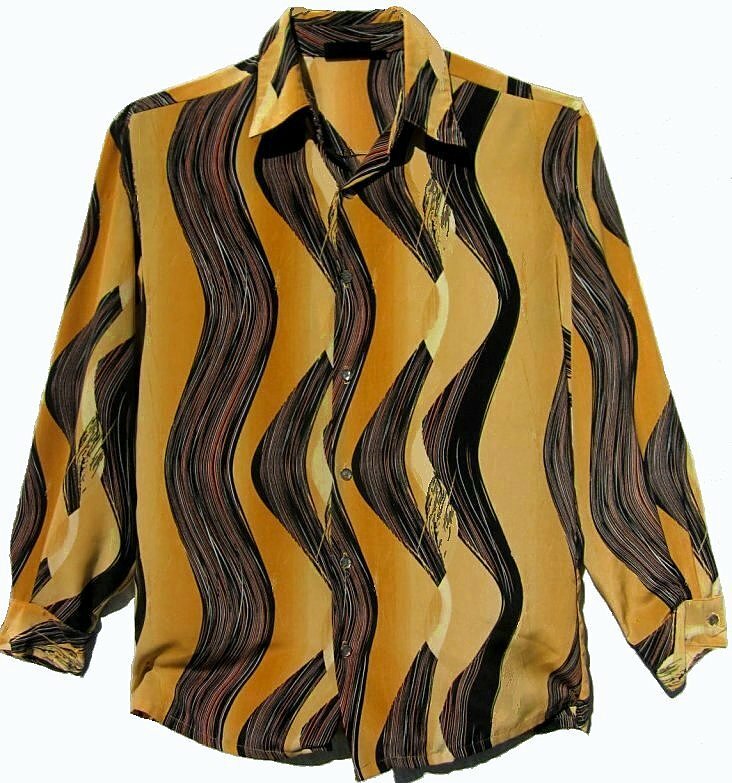 The black squiggles contain bright tangerine and white so the shirt would match black or copper colored pants. The shirt is a today's M - L fit as it is 43" around at armpit level for a loose 40" fit. The shoulder is 20.75". The total sleeve length is 32.25". The shirt has a nice drape to it. It won't cling. It can be machine washed inside out on gentle. Hang dry. Dry Cleaning and hand washing is fine.